Pope Francis turned heads this week with statements on birth control that seemed at odds with the Catholic Church doctrine. Pope Francis has made an exception to the church’s ban on birth control, now condoning the use of contraception. The Pope recently announced that it is acceptable for regions hit by the Zika virus to use contraceptives, a stance that could reignite a debate over the Catholic Church’s prohibition on fornication and preventative measures of becoming pregnant. 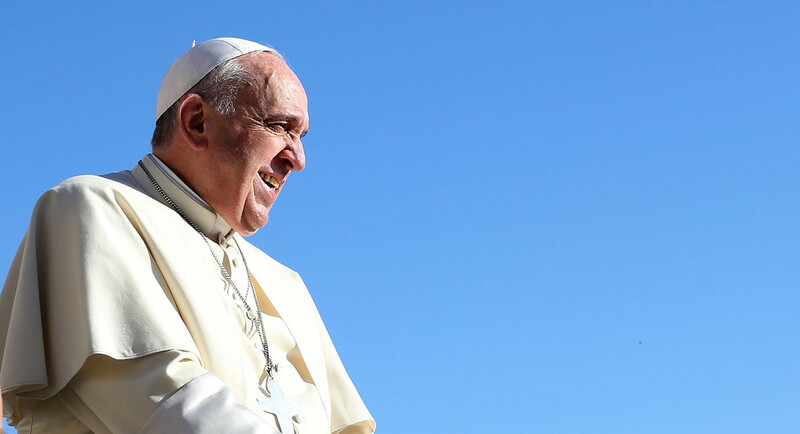 The Pope responded to a question during a flight home after a five-day trip to Mexico on February 18, on whether the Catholic Church should allow contraceptives in the cases of mothers who want to avoid pregnancy because of the virus. The Pope rejected abortion as a response to the crisis. “Abortion is an evil in itself, but it is not a religious evil at its root,” Pope Francis said. Pope Francis also encouraged doctors to find vaccines for the virus. “Avoiding pregnancy is not an absolute evil. I would urge doctors do there upmost to find vaccines against these mosquitos that carry this disease. This needs to be worked on,” Pope Francis said. The Pope went on to say that it is okay for couples to practice birth control if there is a chance they might conceive a child infected with Zika virus, which is linked to microcephaly and paralysis. The Catholic church has only made one exception for the use of contraception in the past when Pope Paul IV approved giving nuns in Belgian Congo artificial contraception to prevent pregnancies because they were being raped in the in the 1960’s. Freshman, journalism major from Houston, Lesli Delabour who is a member of the Catholic Church shared her views on Pope Francis and his statements. “I love Pope Francis, however when he came out with the statement, it was defiantly a shock to not just myself but other Catholics. By Pope Francis coming out with this statement, the church will grow, and help fit to society’s customs. Pope Francis is the people’s pope and he is all for change and bringing together the new and younger church and he is doing a fabulous job trying to keep the church relevant in today’s society,” said Delabour. The Zika virus has become a global epidemic, as doctors have detected birth defects with mothers who were bit by Zika infested mosquitos. The Zika virus in pregnant women has been linked to an alarming increase in the rate of birth defect known as microcephaly, a defect in which new-born babies are born with deliberately small heads and brain sizes. The clusters of birth defects linked to the Zika virus are an international public health. The CDC posted a travel alert advising pregnant women to delay travel areas where Zika is active. The travel alert list includes 32 countries and territories. Brazil, Puerto Rico and The Virgin Islands are among the top countries and territories highly affected by the Zika virus. The CDC continues to work with states to monitor the Zika virus. Health care providers are encouraged to report suspected cases to their state health departments. There have not been any known cases of the Zika virus in the United States. With the recent outbreaks, the number of Zika virus disease cases among travelers visiting or returning to the United States will likely increase. The imported cases may result in a local spread of the virus in some areas of the United States. The CDC is prepared to address any cases imported to the US.